Has your air conditioner been giving you reason to wonder if it’s working properly? You may think (and hope) that you are wrong, but it’s usually best to trust your gut and find out for sure. There are some typical clues that your AC may be on its last legs. But if you’re not sure if it’s time to call your HVAC company in Burlington for air conditioner replacement, look for these signs. Decreased comfort. 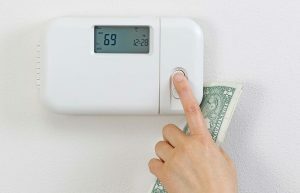 Does your home feel less comfortable even though your AC seems to be running normally? This may mean something is not right with your system. Uneven cooling. Are some rooms cooler than others? When your air conditioning is working properly this should not happen. Strange noises (or simply louder operation). If you hear new noises or your AC seems to run much louder than it used to, be prepared for the possibility of system failure. Low air flow. Is your AC running but you can’t feel any air coming from the vents? Low air flow can be the result of a few different problems. Circuit breakers repeatedly tripping. A rare occasion of your AC tripping the circuit breaker is nothing to be concerned about. However, if it happens repeatedly, you may have a problem. Humidity or condensation. Does it feel humid inside? Is there water dripping or collecting in places it never did before? These are signs of an AC malfunction. Unusual odor. Weird smells coming from your vents or the AC unit itself? This is not normal and may be a sign of an ongoing issue. These signs do not necessarily mean that your air conditioner needs to be replaced immediately. It does mean that you should call your HVAC service right away to get your AC checked out. In some cases the strange noises you hear may be a loose part that simply needs tightened. Excess moisture may mean your condensate drain is blocked and needs cleaned out. Whether or not these common problems mean it is necessary to replace your entire air conditioning system is something you and your HVAC technician can decide together. One of the most important factors in this decision will be the age of your air conditioner. If it is over 10 years old, it may be in your best interest to replace it rather than repair it, if repair is even possible. Your technician will give you their best recommendation. If you notice any of the signs above, call Alamance Oil at (336) 226-9371.